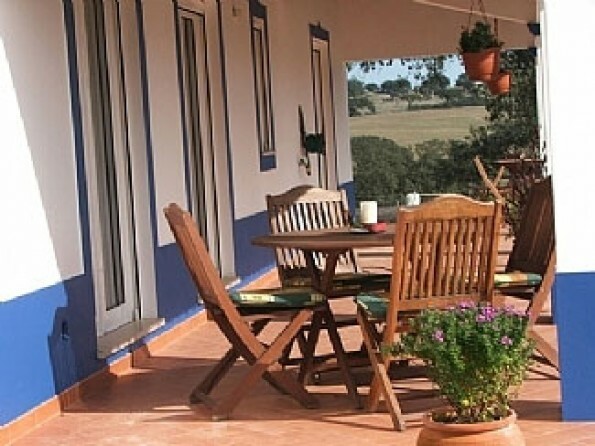 Nestled within the Alentejo countryside and with spectacular views, the guest cottage has been built in a traditional Alentejo style with a bright, light and airy open plan living area; two bedrooms and two bathrooms, one en-suite. French windows from both the bedrooms and the living area lead onto terraces revealing the stunning views across the Alentejo countryside. Luminoso, the name of the property, refers to the exceptional quality of light found in this part of Portugal. 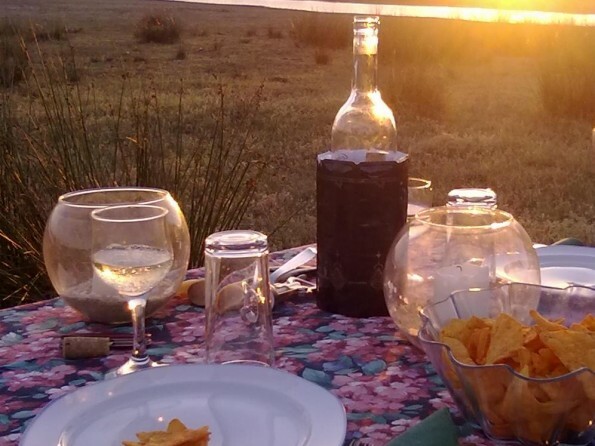 Absent from the fumes and pollution found in much of Europe, the millions of stars twinkling in the night sky are a testament to the clarity of the atmosphere in the Baixo Alentejo. 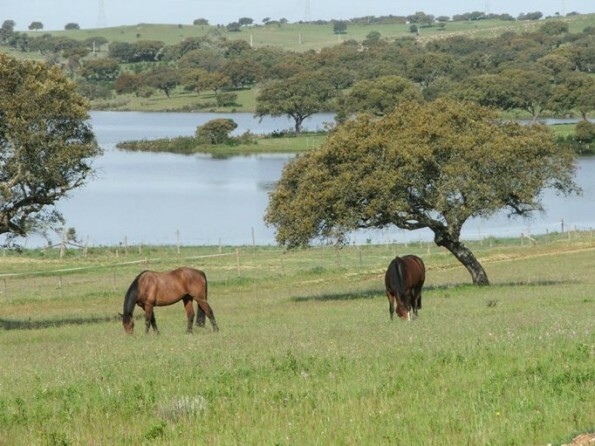 Near the Barragem de Rocha on a stretch of land that runs down to the lake, the land is part of a nature reserve with a plethora of unusual birds, animals and ancient trees. 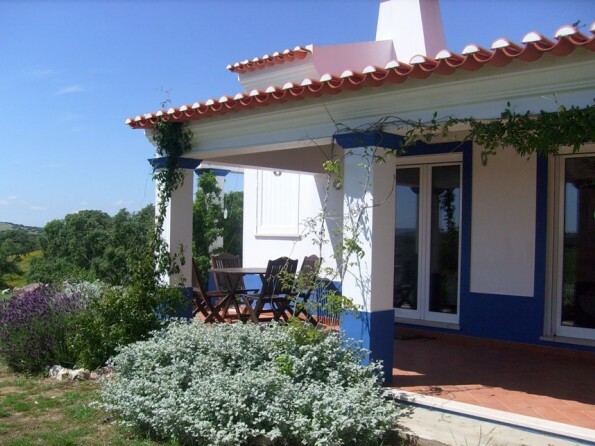 This area is one of the most rural and agricultural found in Portugal and that is its charm. Here you will still see the shepherds with their flocks, or encounter farmers moving their cattle along the small dirt roads; whilst many of the tiny villages reveal a life that could be drawn from a previous century. Algarve coasts (Albufeira) about 50 min drive, there are beautiful beaches with the buzz of a tourist area, lots of restaurants and entertainment. West coast beaches (Zambujera, Milfontes) approx 50 min drive, long, quiet beaches, beautiful little towns and villages, restaurants, not as crowded with tourists. Horse riding on-site. Kinesiology therapy sessions and courses/workshops. Courses in photography, painting classes available. 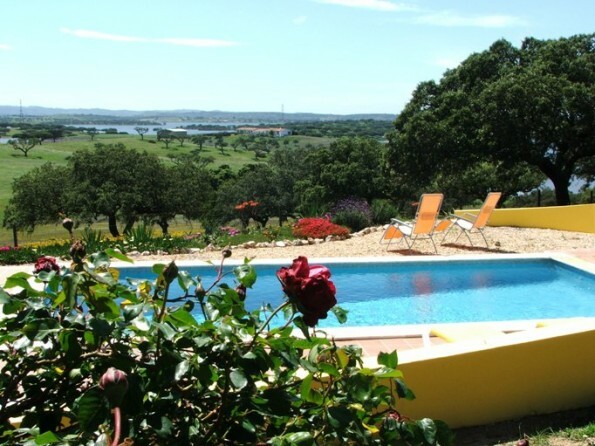 Ourique ist just 10km away, a pretty, small, Alentejo town with supermarkets, shops, restaurants. Lots of nearby towns and villages with pretty houses, traditional crafts, markets, exhibitions etc. Famous are Beja, Almodovar, Castro Verde, Evora. Archaeological sites of great interest nearby. Faro Airport 1 hour drive, Lisbon Airport 1.75 hour drive. All roads are very good, new, well maintained and little traffic. 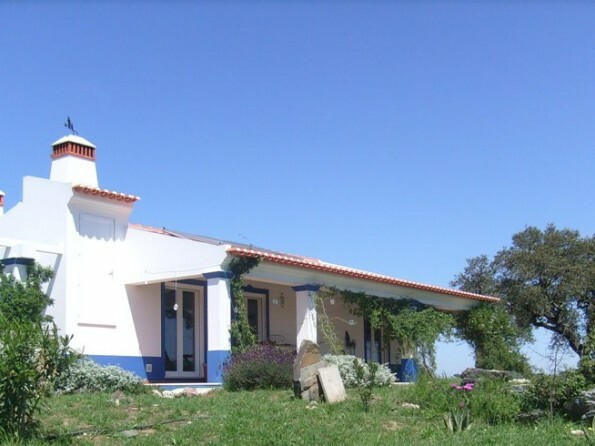 Access to property only 2 km on small, good gravel road from big main Lisbon - Algarve road. Use of car is essential. There are two bedrooms (one double and one twin), both well furnished and both with French windows leading on to the terrace. Bedroom one has an ensuite bathroom and there is another separate bathroom. 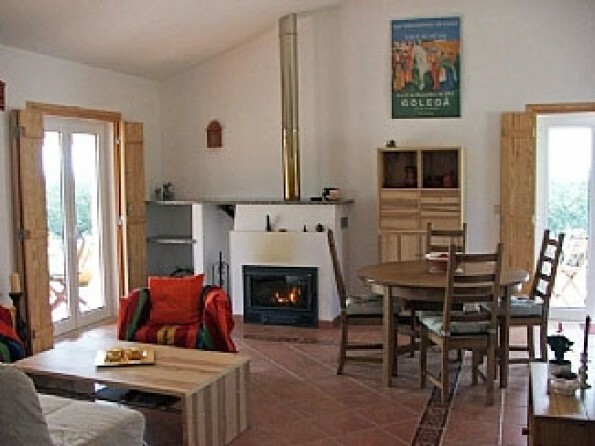 The living and eating area is fully open plan and well equipped, and the living area also has French windows out to the terrace. 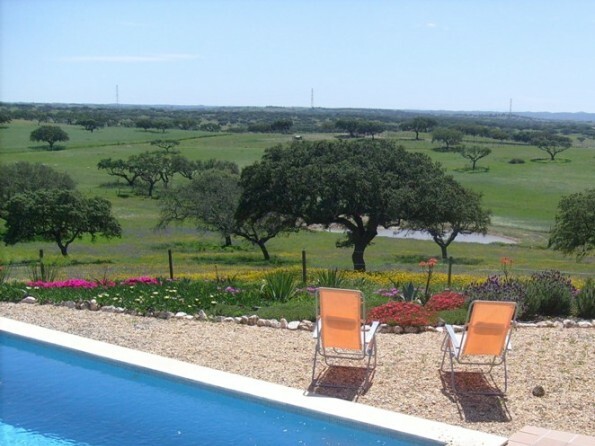 Situated on 40ha of private land with access to lake, surrounded by garden and patio, two terraces with built-in BBQ. Views over fields with lots of trees, and over lake. 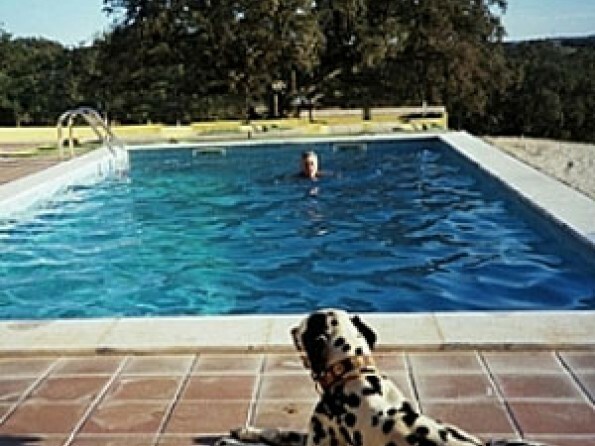 Pool set separate, 50m from owners house and guest house, only sharing with owners. Surrounded by nature with stunning views. Heating available in off season. The cottage is environmentally friendly, being powered by solar energy and providing all the necessities of life including under floor heating. You will also be able to enjoy a wood burning fire in the cooler months and will find a fully equipped kitchen and well appointed bathrooms. 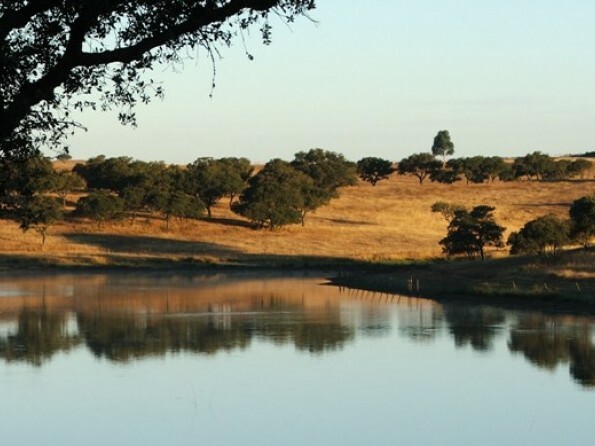 Acres of rolling plains are home to the famous cork oak trees and, once known as the bread basket of Portugal, huge undulating acres of green turn to golden brown in the summer months as the grains ripen.